Zoltan Esik was an automata theorist of high calibre from the Institute of Informatics, University of Szeged, Hungary. Among his many contributions to the subject, perhaps the most important is the study of equational properties of fixed point operators, constituting Iteration Theories (a book he co-authored with Stephen Bloom). 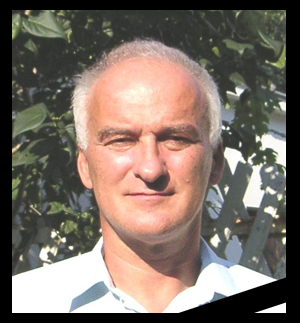 The moving tribute by Luca Aceto and Anna Ingolfsdottir has a nice discussion on Zoltan Esik's scientific achievements. Check here for a list of Esik's publications. Zoltan was also actively associated with CSL (Computer Science Logic) and the EACSL (European Association for Computer Science Logic), organizing CSL 2006 in Szeged. This one-day workshop, a satellite event of CSL 2017, is intended as a tribute to Zoltan Esik, constituting a discussion of topics that lie at the intersection of automata theory, logic and algebra. The workshop mainly consists of invited talks but also has room for the sharing of memories. Participation in the workshop is open to everyone and will be limited only by logistical constraints. Registration for the workshop will be possible through the CSL website . Any registered participant who wishes to contribute to the reminiscences is welcome to write to the organizers.